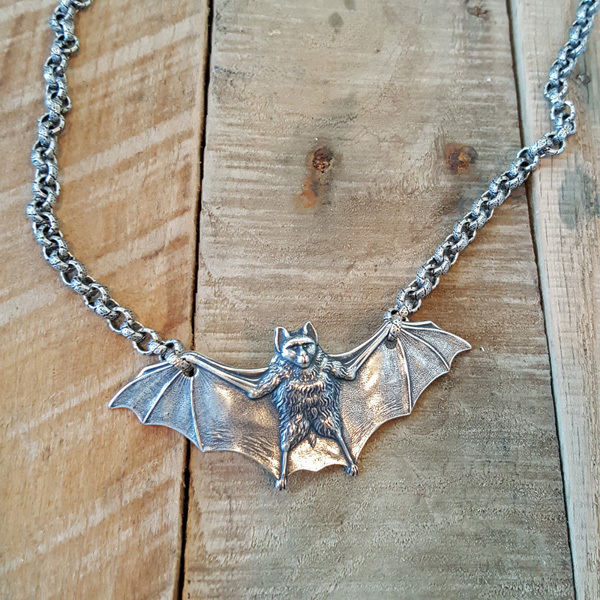 This unisex necklace is bat-tastic! 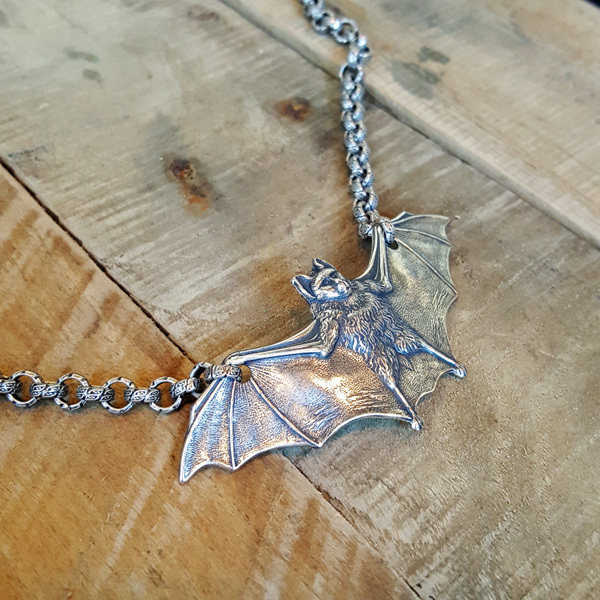 Made with an antique silver finish, you choose your chain length and you are set to go! 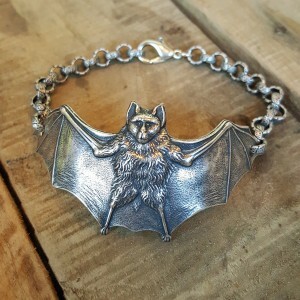 Available in 18, 20, and 24″ length.